In this post we shall be looking at the personal view of Victoria Beckham on alkaline diet and the reasons why celebrities loves including cucumber in their diet. She was a member of the famous Spice Girls and also a wife of a well known former Enlgand and Manchester United captain, David Beckham. Neglecting all these, let us go back to our main topic, which is love celebs have for cucumber and their various diets. Victoria beckham is a firm believer in the Alkaline Diet, Jennifer Lopez apparently swears by the Dukan Diet, Gwyneth Paltrow follows the Macrobiotic Diet, and Demi Moore credits the Raw Food Diet to maintaining her youthful looks. When it comes to celebrity diets, it seems as though every A-lister has a different approach, however one ingredient that is a common denominator in all Hollywood diets is the humble cucumber. Professor Robyn McConchie, Professor of Horticulture and Pro-Dean at the University of Sydney says, "Cucumbers are the fourth most cultivated vegetable in the world, and one of the most loved superfoods, with good reason. They contain hydrating properties, valuable nutrients and are particularly low-calorie, making it a solid staple in any and every diet." There is no doubt weight loss is the main reason celebrities diet, and with cucumbers being made up of 95% water, it is easy to see why they are a staple ingredient. They are a great low calorie snack to curb hunger and keep hydrated. In fact, Jennifer Aniston swears by eating a cucumber salad consisting of three medium cucumbers daily to keep her healthy and hydrated, the benefits clearly proven with her glowing complexion. Had a few too many? We've all been there! Luckily, cucumbers contain enough sugar, vitamin B and electrolytes to replenish essential nutrients the body lost, keeping everything in balance. There's no doubt that many celebrities live by the 'work hard, play hard' philosophy, so eating cucumber before bed is an easy method they use to wake up headache and hangover free! Celebrities, like most of us, dread ageing and the cellulite that comes with it. Luckily, cucumbers are an effective way to remove unwanted cellulite, as they draw out the excess fluids and tighten the collagen in your skin. 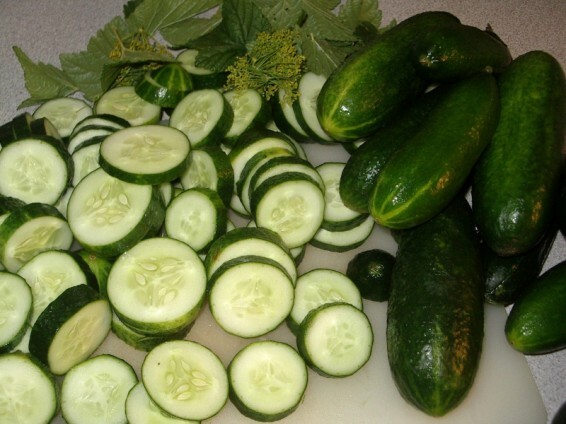 So simply eating, or placing a piece of cucumber on your skin, will work as a natural cellulite reduction method. Life can get quite overwhelming, and stress is a huge issue when it comes to maintaining both weight and a sense of wellbeing. An easy way to relieve anxiety is to cut up an entire cucumber and place it in a boiling pot of water. The chemicals and nutrients from the cucumber will react with the boiling water and be released in the steam, creating a soothing, relaxing aroma. Use that for a quick and easy stress reliever. The natural ascorbic acid and caffeic acid within cucumbers act to prevent water retention in the skin, meaning it works to reduce swelling under the eyes and helps skin heal from inflammation, helping achieve a fresh and youthful complexion. i Must say that you have a very beautiful website design. as well as awesome contents. Keep it up. i am a daily reader. Thanks CEOcountry, ibam glad you are a constant visitor, i promise to sevre you better with daoly healthy informations.